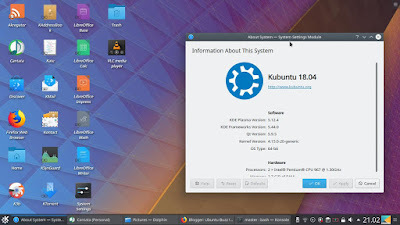 Honestly, Kubuntu 18.04 has been released at 26 April 2018, and I need a long time to make a review. 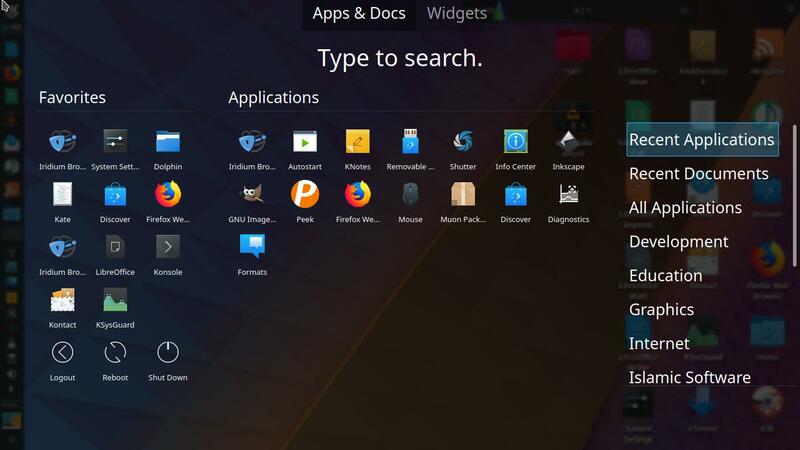 Last but not least, here's a review of Kubuntu Bionic Beaver, the friendly operating system of 2018, an LTS version worth 3 years of support with KDE Plasma 5.12 and full of features. It needs only +/-370MiB of RAM at idle time, considerably lightweight along with Xubuntu and Lubuntu. 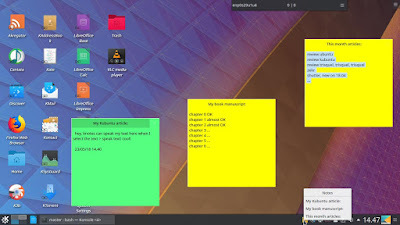 You will find also my notes about the default applications and more here. 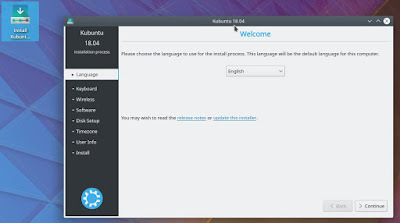 Finally, for you curious about Kubuntu, here's my review! 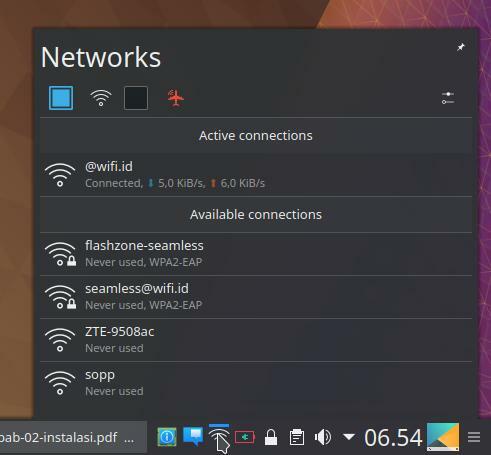 Read also how to install, what to do after installing, memory usage comparison, 20 recommended applications, and privacy tools, all for 18.04. 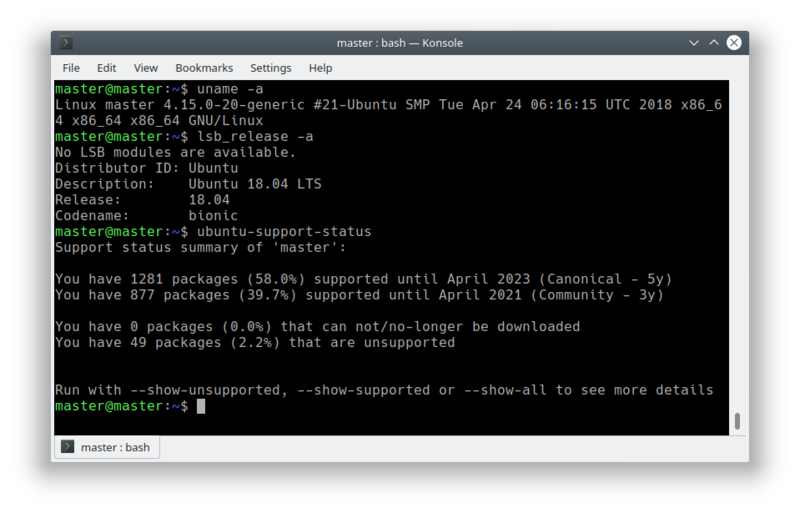 Fortunately, Kubuntu is still available for borh 32 bit and 64 bit. 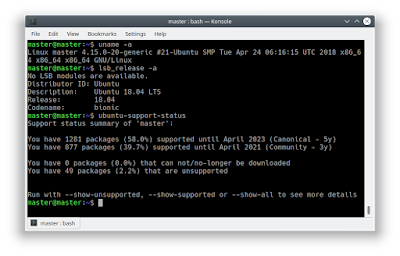 So we can still install and run Kubuntu on 32 bit old computers. You can direct download from following links but if you want more links including torrents and mirrors, see Download Links 18.04. 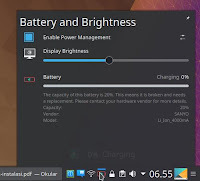 For most computer users: you can run Kubuntu fully on your computers without installing it. 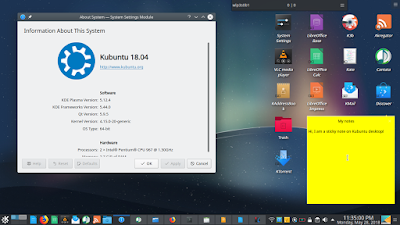 Yes, so as I said, Kubuntu is not like Windows, you can run Kubuntu completely for browsing, etc. without making changes into your computers. 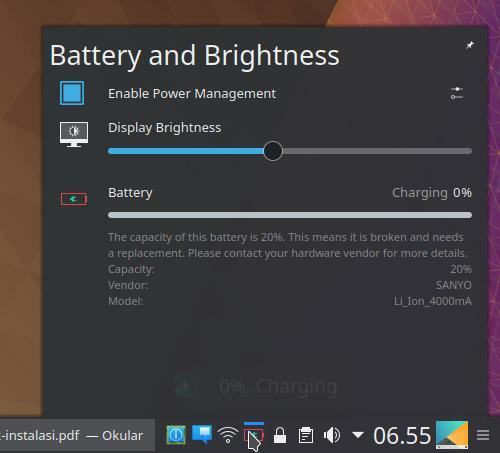 The DVD or USB drive of Kubuntu you have is fully runnable in any computer (as long as they have correct architecture). This kind of ability is popular with the name LiveCD. 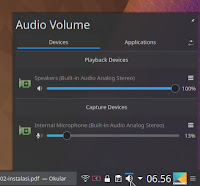 After you tried Kubuntu LiveCD session, and you felt you want it installed, you can install it from there by double-clicking the Install Kubuntu button on your desktop. 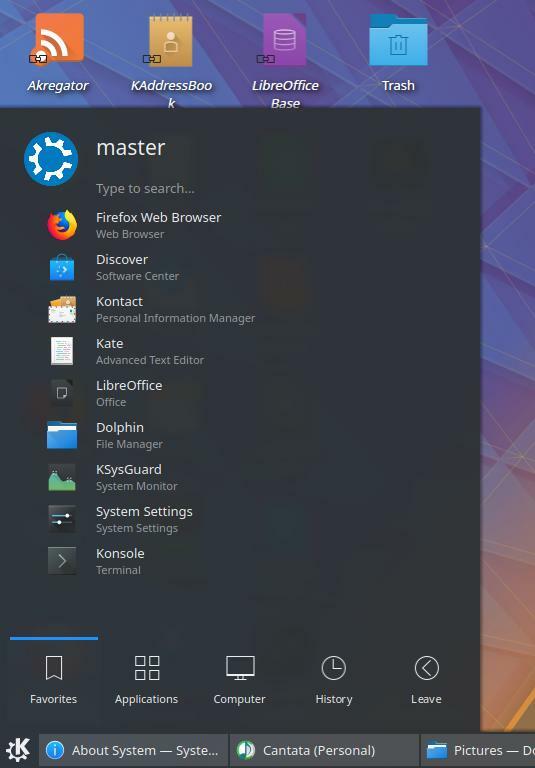 Read our tutorial in installing 18.04 or upgrade guide from 16.04 for it is applicable to Kubuntu Bionic too. 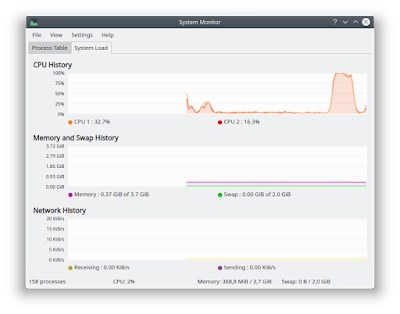 It's low, only 370MiB of RAM at idle time at first login. The biggest processes to consume memory are plasmashell (+/-90MiB), kwin_x11 (+/-59MiB), Xorg (+/-28MiB). Worth to note here that you will find snapd and packagekitd alive here, either in a random time or in every startup. This result of this final version is the same as the result of the beta 2 version. Thus, we can conclude that Kubuntu 18.04 is one group with the lightweight Lubuntu and Xubuntu. 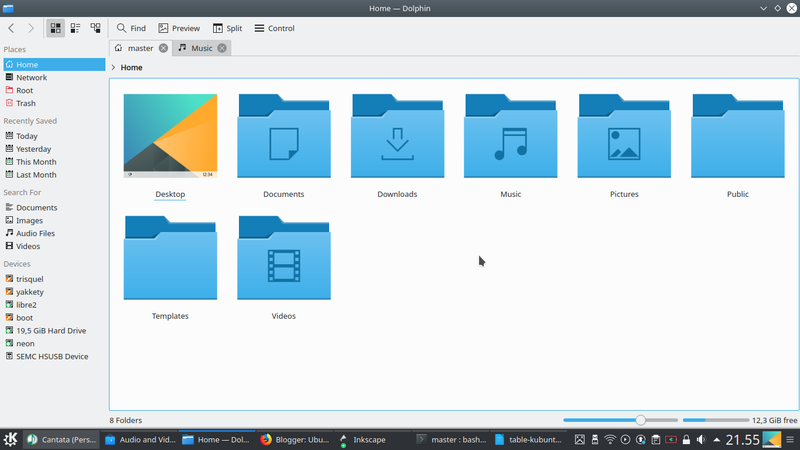 Here's how Kubuntu 18.04 looks like. 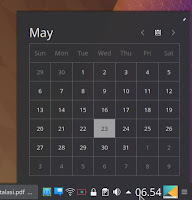 It is still the same except it uses dark theme by default now. The bottom panel is what you have already familiar with. It's a normal taskbar with menu on the left and tray on the right. It's also what you familiar with, where you can put application icons on it. Anybody has prior experience with Windows XP up to 10 should have no difficulty in using this panel. It comes with three themes by default including the dark Kubuntu. And, as always, there is Get New Looks button for you to download more themes. And see the panel is movable to the vertical side of screen. Try to combine this with full-screen menu, for example. Now Kubuntu utilizes double-click, not single-click anymore, to open file and folder. This resembles Windows, right? If you like it, let it be. If you want to revert back to single-click, change it on the System Settings > Mouse & Touchpad. It comes with a modern menu with search bar and just press Super key (Win key) to open/close it! By default, the menu style is called Launcher. Along with it, Kubuntu comes with classical list menu style called Menu, and full-screen style called Dashboard. Any Unity user might recognize how similar the Dashboard with the Dash from Unity. Dolphin reaches version 17.12.3 on Bionic. It is still simple as always, but powerful when needed. 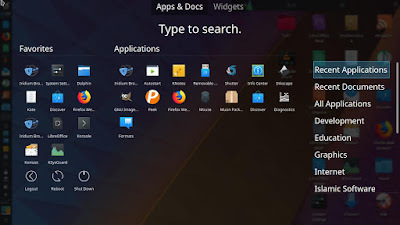 It brings you features you have been familiar with like split vertical (F3), multitabbing (Ctrl+T), folder color, bookmarks, search (Ctrl+F), filter (Ctrl+I), and so on. As usual, the menubar is not showing but available in the Control button. To show the menubar, simply press Ctrl+M. The bottom-panel tray is there without any visible change compared to the previous versions. 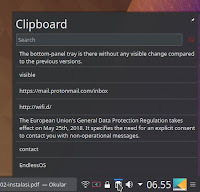 For new comers: Kubuntu has special tray item called Clipboard, it saves all your copied text even after reboot, and it's very convenient for you doing frequent copy-paste activities. 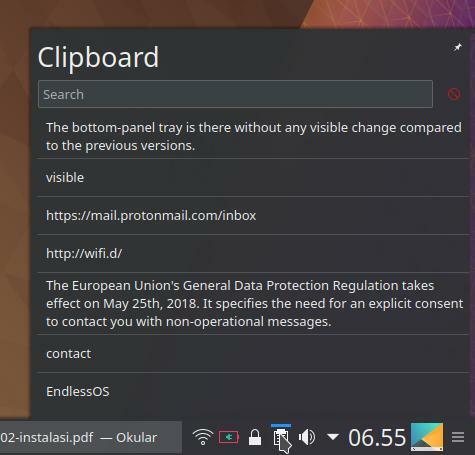 For formerly Kubuntu users: the pin button on the top-right corner now applied to another tray items once you enabled it. Actually, no new wallpapers for this Bionic version, and no contest was held. All five wallpapers are old wallpapers from the previous versions of KDE Plasma Desktop. 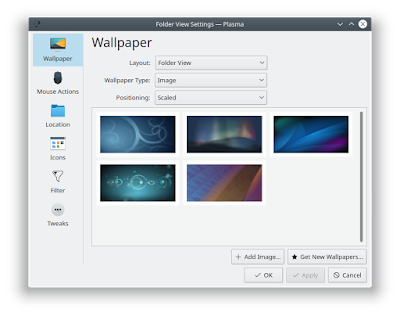 You can see all wallpapers (or add new ones) from right-click on desktop > Configure Desktop > Wallpaper. 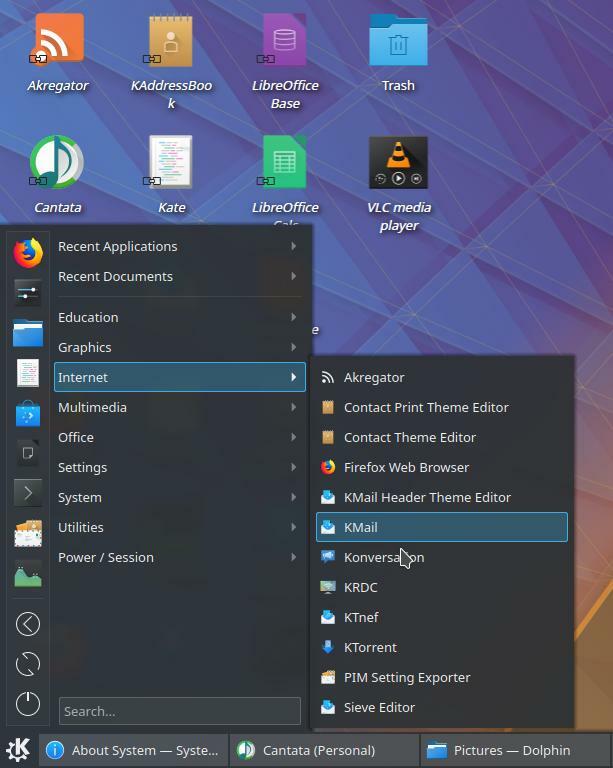 Kubuntu Bionic brings a complete set of LibreOffice (the six Writer, Calc, Impress, Draw, Math, and even Base), with our beloved Firefox 59 and KDE Plasma 5.12. 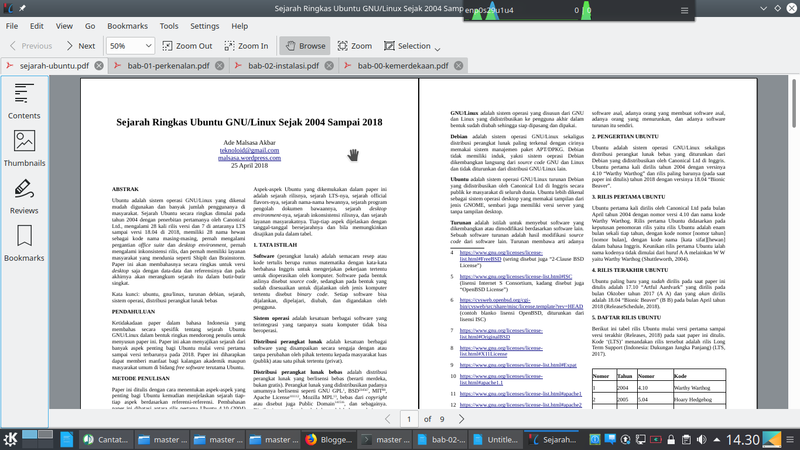 Among the family of 18.04, only Kubuntu to bring the complete six programs of LibreOffice. 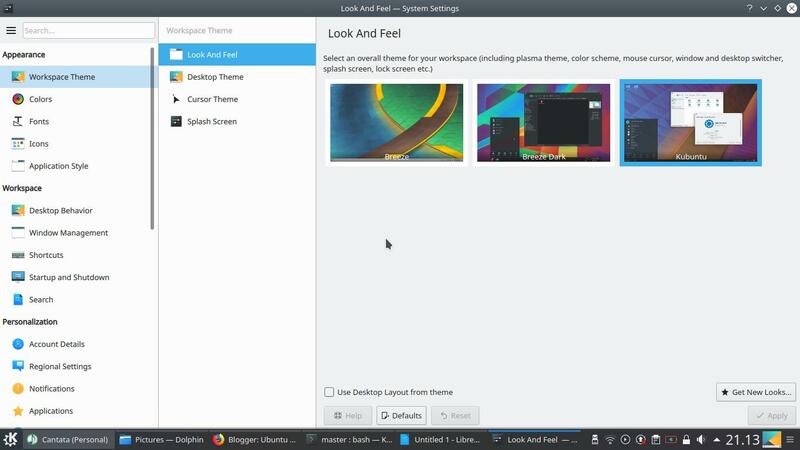 Kubuntu, the KDE Ubuntu, now ships with KDE Applications 17.12. To sum it up, here your file manager is Dolphin and email client is KMail. 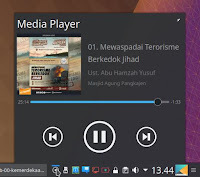 The biggest change here is Cantata as your audio player replacing the legendary Amarok and VLC replacing Dragon Player. Furthermore, Kubuntu also brings a partition editor (KDE Partition Manager) and an IRC client (Konversation). You can use the partition editor to format, create, delete, label, or resize partitions of disk drives you have. 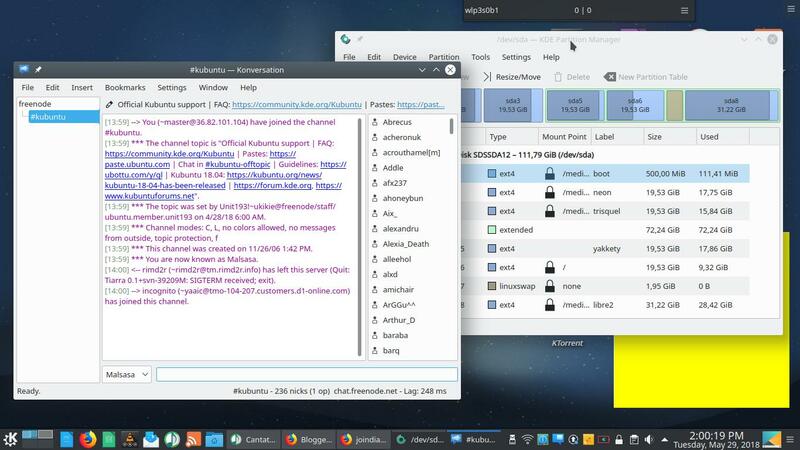 You can use the IRC client to contact Kubuntu developers (at #kubuntu at freenode.net), for example. All these built-in programs you get in only 1.7GB of ISO image size. 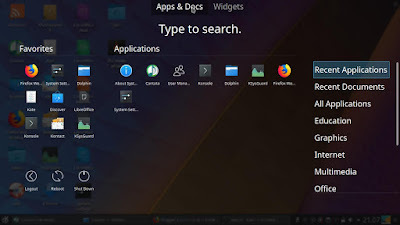 Kubuntu Bionic ships with two 'App Store' (graphical package managers), one named Discover, and another one named Muon Package Manager as its alternative. GIF animation below showing how easy to install a program (Geany Text Editor) with Discover. Alternatively, and I think this is clever, Kubuntu brings also something similar to Synaptic Package Manager, called Muon. 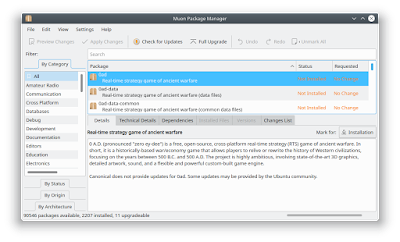 For a long-time GNU/Linux user or any new user who loves detailed stuff, Muon is a better application installer compared to Discover. GIF animation below shows the steps to install a program with Muon: choose the program name > press Installation button > press Apply Changes > type your password > let it go. 10. Play MP3 and MP4 Now! 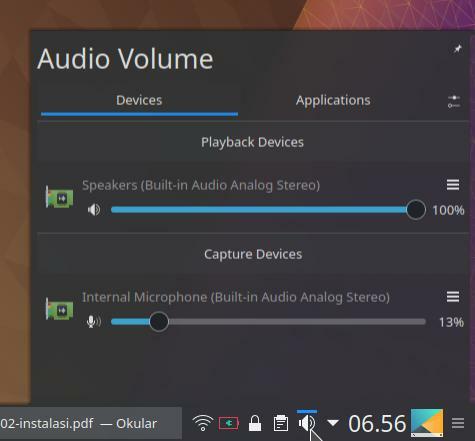 Kubuntu now can play MP3 without requiring you to install GStreamer plugins anymore. Play any MP3 with Cantata! 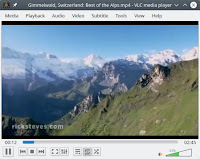 And, the same goes for MP4 by the inclusion of VLC replacing the previously included Dragon Player. 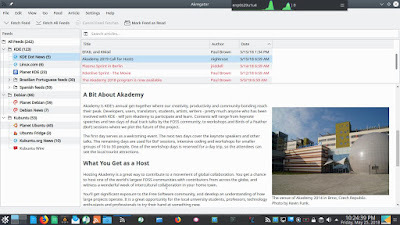 Okular is by default single-tabbed (like Adobe Reader) but since version 0.19 it provides an option for multitabbed reading (like Foxit Reader). As a surprise, Okular can read CHM books (compare this to CHMSee or XCHM), as well as LibreOffice documents, EPUB, MOBI, DJVU, and more! 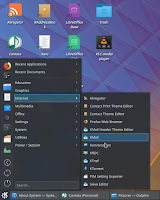 So, in other words, you use Kubuntu you don't have to worry to read from a lot of downloadable ebook providers like Project Gutenberg and many more listed here. For your information, they provide more than 2.000.000+ gratis ebooks. 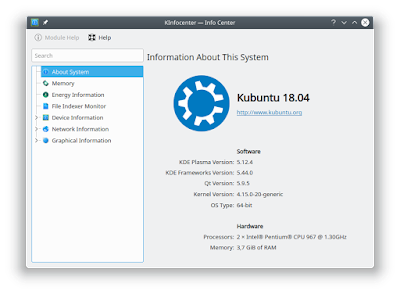 Kubuntu ships with a program called Info Center (KInfoCenter) which provides you basic specification details about your computer and further information about hardware devices like processor, hard disk, network card and VGA (PCI devices), batteries, and things related to OpenGL and XOrg. 13. Encrypt Folders & Files! The biggest surprise for most of us would be the new ability to lock folders with password. 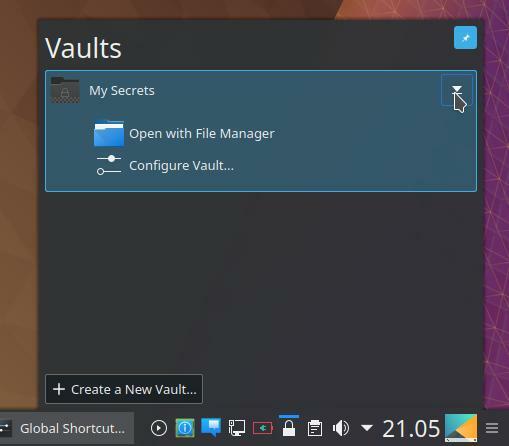 This is a new feature of KDE called Plasma Vault. It represents as a lock icon on your tray. With this, you open and close your selected folder with password. Locked folder will disappear from Dolphin File Manager, unlocked one will appear. 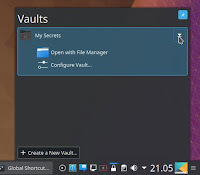 And, you may create any number of folder as you wish with Vault. 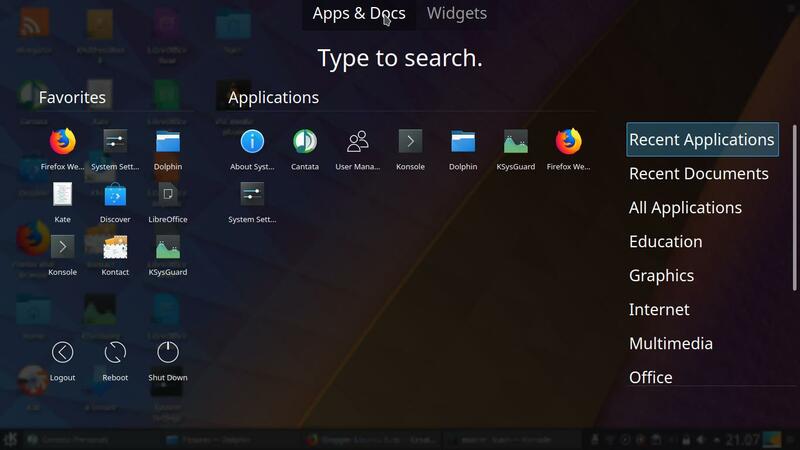 However, this feature is still built-in only on Kubuntu, you wont find it or something similar preinstalled on another Ubuntu Flavors at present. Amazing, right? 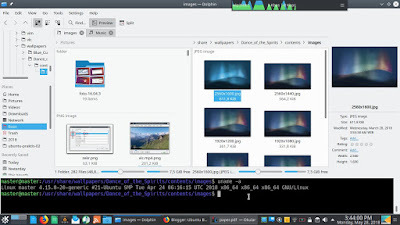 GIF animation below demonstrating opening and locking a secret folder of mine which contains some document files. 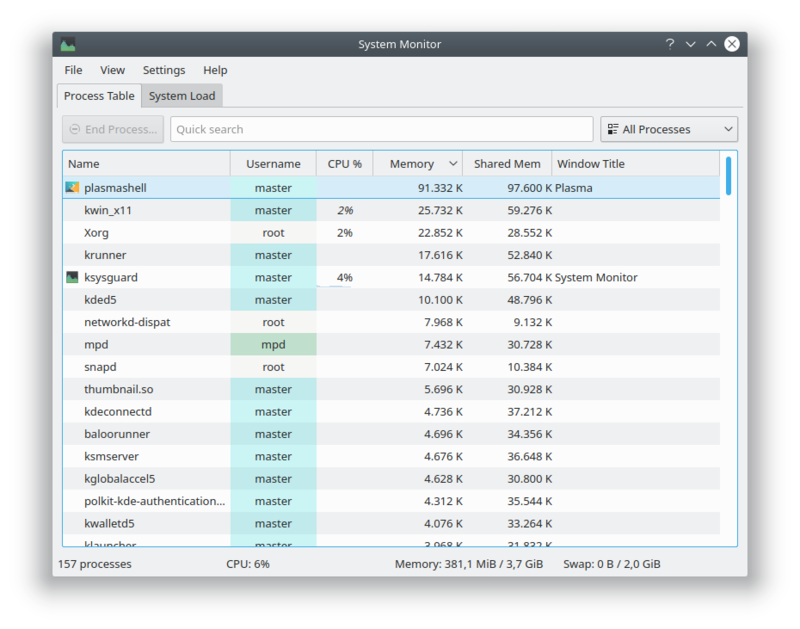 As I said, on Kubuntu 18.04, you use Discover and Muon to install software. But aside of both, you use APT if you prefer to use Terminal. Personally, the thing I always use on every KDE distro is KNotes, the desktop sticky notes. 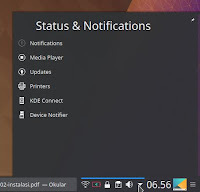 If you cannot get it working at first, right-click the icon > Configure KNotes > Collections > give check mark to Notes > OK.
Kubuntu has always been came with Akregator the online news reader. This means you can subscribe to many news websites and blogs in one program (and read them offline!). 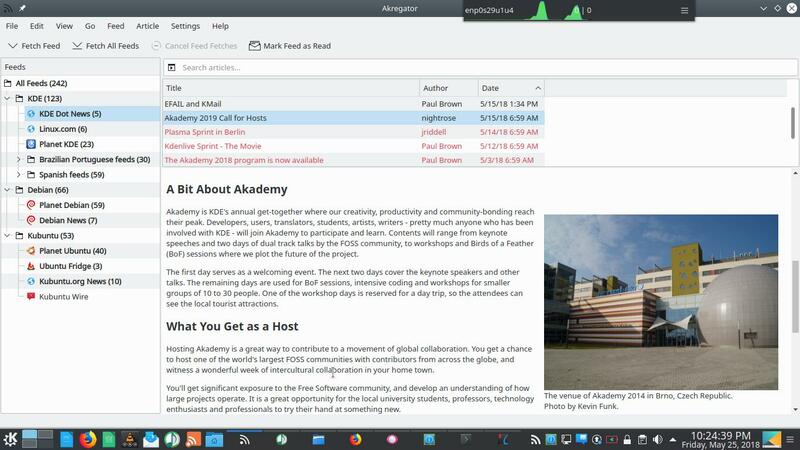 For example, see our RSS feeds big list, you can add any of them to Akregator and get news automatically every time you are online. 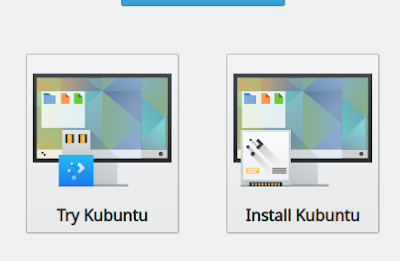 The default news subscribed for you are from Kubuntu, Debian, and KDE. 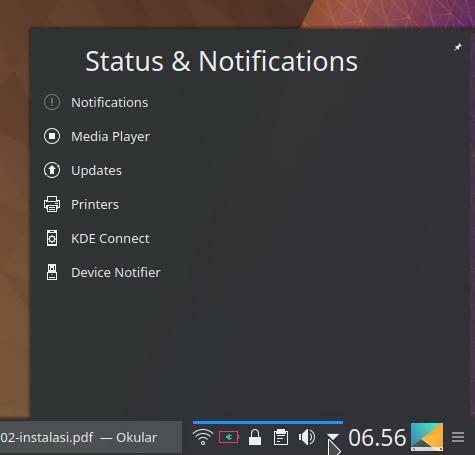 Reading subscribed news from KDE Community! Again, same as previous versions, it's still Ubiquity. This means if you have experienced in installing Kubuntu, you do not need to learn something new. It's still as easy as before. 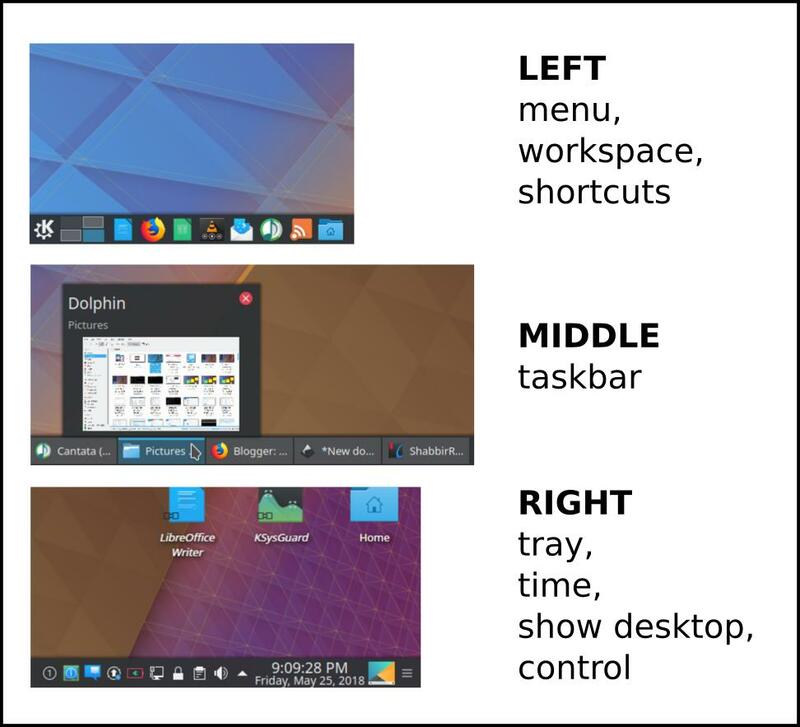 The only change visible to us is the new option to install Minimal Kubuntu aside of Normal Install on the fourth step. Kubuntu 18.04 LTS is complete and full-featured system ready for all desktop purposes. 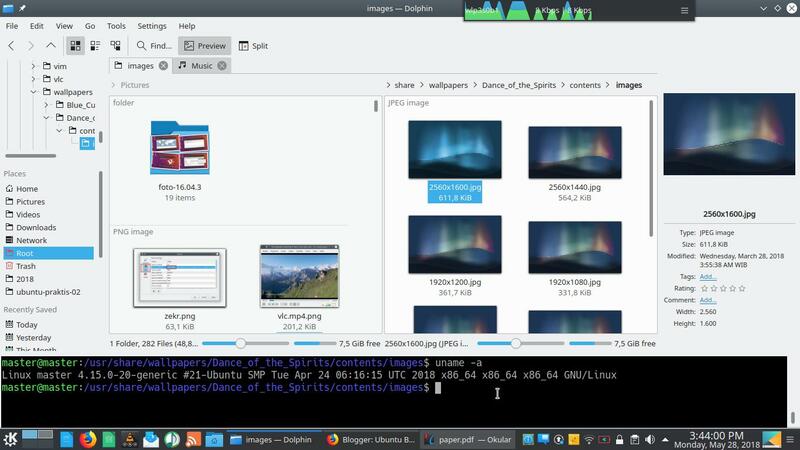 It's easy to use, really, without experimental changes that frequently happens like what we see on Ubuntu, for both long-time and new Kubuntu users. It's complete with all applications included, and it's full-featured with all conveniences and abilities you get including easy access to available software via Discover and Muon. 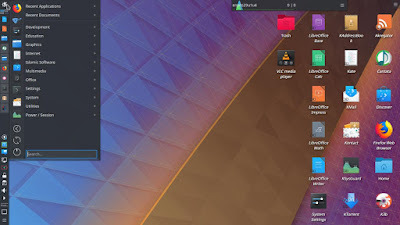 If you use it, you will have 3 years of support of the KDE components plus 5 years of support (from Kubuntu Team) of the Ubuntu base components (from Canonical). 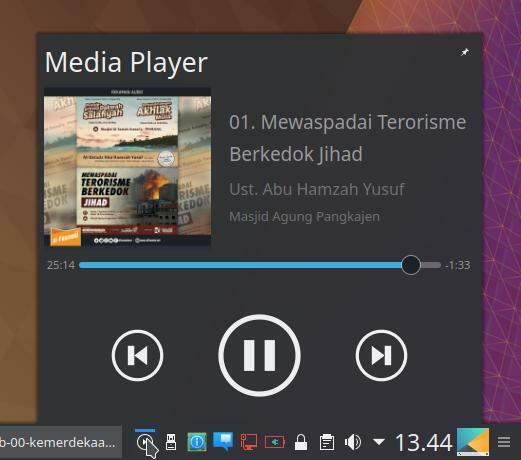 Finally, happy using Kubuntu!